Missouri Gov. Mike Parson stopped in the Northland Wednesday afternoon, working to drum up support on Proposition D – the state’s proposed gas tax hike. “The reality is, we’ve got problems,” Parson said at the event. That’s why he’s spending four days visiting 13 Missouri cities to discuss Prop D.
“We’ve got 1,000 bridges out there that are considered in poor condition in our state,” Parson said. Proposition D would increase the motor fuel tax 2.5 cents a gallon every year for four years, ending with a total of 10 cents. 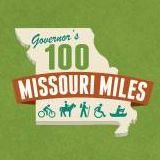 It would generate $412 Million annually for road and bridge repairs, something Parson said Missouri needs now. “You have to have infrastructure in place to draw new businesses. You have to have infrastructure in place for people to want to retire here and to move here,” he said. We don't know of any organized group opposing Prop D but the Ballotpedia article has summaries of arguments by supporters and opponents.